The Samahang Basketbol ng Pilipinas held its Pambasansang Tatluhan National Finals in Robinsons Place Manila last May 19-20. The Samahang Basketball ng Pilipinas (SBP) held the Pambansang Tatluhan National Championships in Robinson’s Place Manila last May 19-20. 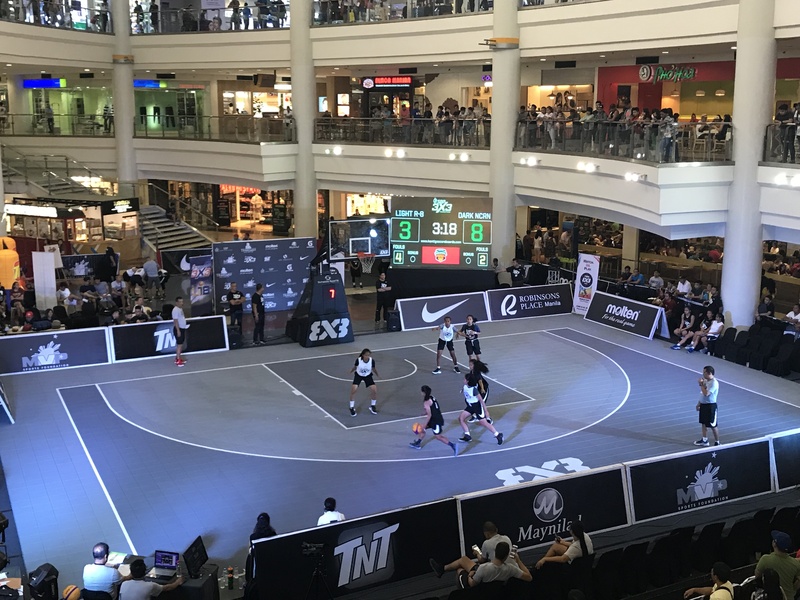 The 3x3 Nationals featured a total of 128 U18 players for both Boy’s and Girl’s Divisions. Region 4A bagged the Boys crown while Region 11 claimed the Girl’s crown. The teams were made up of the regional champions of the SBP Pambansang Tatluhan program. A total of 16 teams vied for the National Championships of the Boys Division while another 16 participated in the Girl’s Division. The boy’s teams of Region 6 and Region 2 came in second and third respectively while NCR South of the girls won second place with NCR North coming in third place. The program aims to cultivate and develop basketball talent from all over the Philippines and platform a platform for basketball talent to thrive in the Philippines. In just its third year of existence, the Pambansang 3x3 has proven to be a breeding ground of future basketball prospects in the Philippines. Moreover, its U16 and U18 age group makes it a viable showcase for aspiring varsity players.